Most companies conduct periodic worksite safety inspections. This process is part of the traditional landscape of a comprehensive health and safety plan. At regular intervals, someone within the organization sets out to critically observe in an effort to identify and rectify hazards. But why are they done? Therein lies the interesting question. Safety is often driven by compliance—either to a regulation or a company policy. Certainly, compliance is a factor and one that is often developed with a specific purpose in mind. 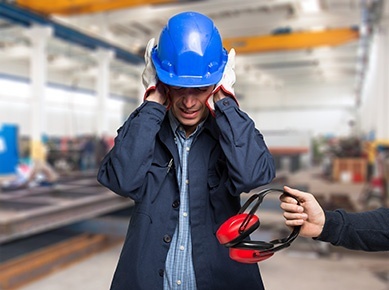 OSHA has a clear imperative that employers are required to provide their employees with a place of employment that "is free from recognizable hazards that are causing or likely to cause death or serious harm to employees." Worksite inspections serve as the vehicle to record hazards and document abatement. As the saying goes—if it's not documented, it didn't happen. With that in mind, can companies meet the regulatory requirement by simply walking about every once in a while and fix what is found? Perhaps. While this satisfies a basic requirement, simply walking around and checking a box does not necessarily offer assurance that the workplace is free of recognizable hazards and meet the spirit and intent of the purpose the regulation is trying to express. Conducting workplace safety inspections can serve a greater purpose than simply meeting a compliance requirement. In fact, work site safety inspections can be a vital part of your injury prevention efforts if done well. 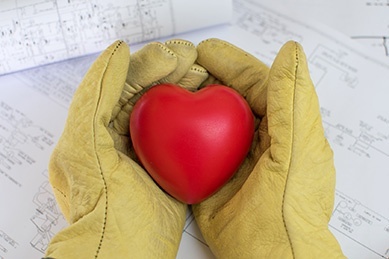 They can help reassure workers that the workplace is safe and help the company demonstrate that it cares. In order for this to happen, a more robust process is necessary. 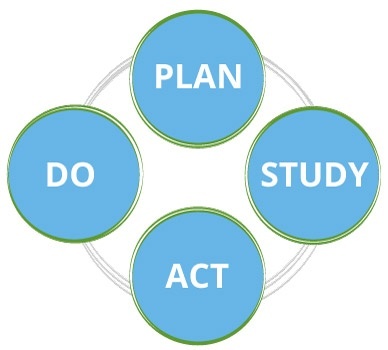 The best methodology for this process is also one that is time tested and rooted in continuous improvement—the Deming cycle. Define the purpose and set expectations. Define an inspection strategy, collect observations, and perform the initial correction. Periodically review data collected; identify gaps and trends. Give feedback, develop action plans, and make data-driven decisions. The purpose of conducting work site safety inspections should be more than mere compliance. The purpose should be to prevent injuries. With that in mind, the expectations should be those inspections that detail critical observations of all areas should be conducted at a frequency that allows for sufficient trending of patterns. With the expanded purpose and expectations, it may become clear that the frequency and breadth of current inspections are insufficient and may need to be expanded in order to meet the new requirements. In addition, a plan must be put in place to actually use the data collected, beyond checking the box and counting the "cards" submitted. Tracking and trending of findings are essential to meet the revised purpose of injury prevention. 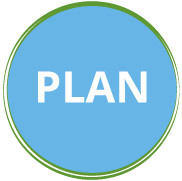 Lastly, the planning elements must be communicated to everyone so that the purpose is clear. The first step in this phase is the development of a comprehensive inspection strategy. 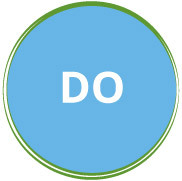 This strategy should define who does inspections, when they occur, what is to be observed, and where they are to be done. A study was conducted that shows the probability of having an incident declines as the number and diversity of the people performing inspections increases. In fact, the study shows that having a large number of diverse inspectors doing a few inspections each is better than having a few inspectors doing a large number of inspections each, even if those inspectors are highly trained safety professionals. This inclusion helps to shift the ownership of safety away from the "safety" team and onto the entire organization. An inspection is a snapshot in time. As the saying goes, if a tree falls in the woods and nobody is there to hear it, does it make a sound? The same goes for safety inspections—if work occurs and there is nobody to evaluate it critically for safety, was the work done safely? It is best to schedule inspections to ensure good coverage across many days and shifts, as well as when infrequent work occurs, such as entering a confined space or performing lockout on energized equipment. What is to be observed? This involves the task or category of hazard, such as PPE or fall protection. If the purpose is to prevent injuries, as defined in our Plan phase, then it is important to ensure each risk is observed enough to allow for trending and ultimately evaluation of risk. Typically, observers focus on the easier things to see, such as PPE, while the more difficult categories to evaluate, such as fall protection, receive fewer inspections. The fewer the inspections, the harder it is to evaluate risk, which ultimately leads to a diminishing ability to prevent those types of injuries. Each project or location should be broken up into manageable areas and work groups to ensure each unique entity is observed. 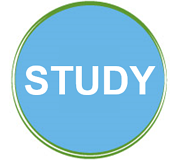 Ideally, each observation should be linked to both a location and a work group. In addition, each location and work group should have an expected number of inspections and/or observations within a given time period based on manpower and risk—the more manpower and the higher the risk, the more inspections necessary to ensure a safe working environment. Collecting data in the previous stage is simply the beginning. Once data has been collected, the next step is to review the data. A data use plan is necessary to ensure that data are reviewed on a frequent and periodic basis and actions are taken to drive improvement. Think of it like this—if I stand on a scale and collect my weight each day and record it, will I lose weight? No! I must take the data, compare it against expectations, and then drive actions that will help improve the risk. The idea is to look for gaps and trends in the data. A gap is something that is not being done that should be, such as observations in a particular category (e.g., electrical, confined space) or in a particular area. A trend is something that is seen over and over and will continue to repeat until the causal factors for the system are identified and remedied. The last step in the continuous improvement loop is action. Without it, this is all simply wishful thinking or worse—a lesson in futility. Action drives accountability. 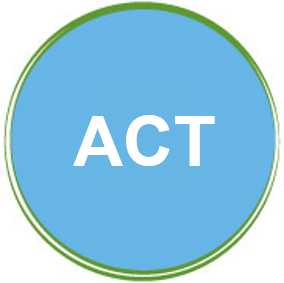 Action can include simple things, such as providing feedback or sharing information on trends that have been seen. It can also involve more complex solutions, such as a revision to the way in which work is performed or a pre-incident investigation based on at-risk trend information. It could even drive utilization of data as evidence in a data-driven decision, such as a request for a large capital expenditure. Too often safety programs have elements that are done because "That's the way we've always done it" or, worse, "Because we have to." Build into your program elements a noble purpose, and people will do them because they want to. Your inspections and observations allow the continuous improvement cycle to keep going, making your safety program that much better each time and ultimately helping to make sure that the entire workforce goes home safely at the end of the day. Cary Usrey has been at Predictive Solutions since March 2007. As a Process Improvement Leader, Cary is responsible for implementing best practices for customers seeking to prevent worker injuries. He coaches customers through an assessment, goal-setting, and goal measurement process that is designed to maximize safety improvement and widespread organizational engagement, from the field to leadership. Cary started his career in the U.S. Navy's Nuclear Power Program. After leaving the Navy, he served as the Environmental, Health and Safety Compliance Director at Adirondack Resource Recovery Associates, a waste-to-energy power plant in upstate New York, where he was employed for over twelve years. Following this, Cary took a position with Turner Construction, where he served as the Business Unit Safety Director for the upstate New York office for approximately three years. Cary has graduated with his Associate's Degree in Occupational Safety and Health from Trinidad State Junior College in Colorado, is a member of the Central FL chapter of the ASSE, and has served on the Board of Directors for the VPPPA (Region II).